The first Leopard 2 MBT was handed over to the Bundeswehr in October 1979. 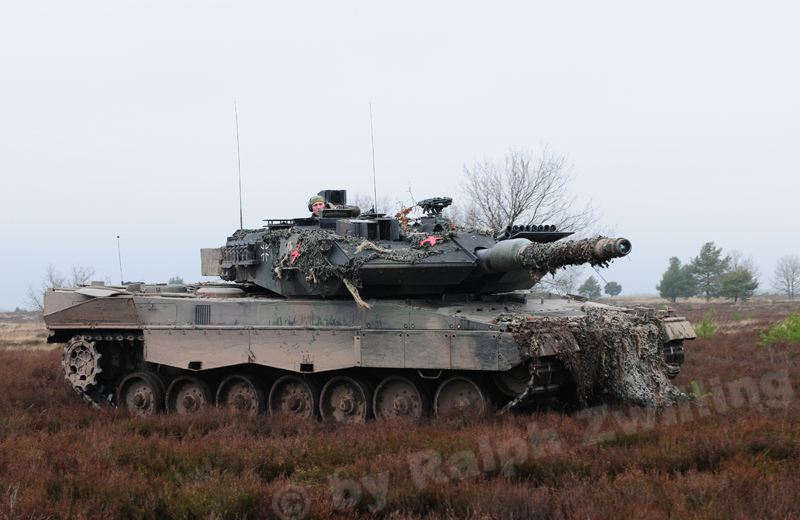 Overall, 2,125 Leopard 2A0 to 2A4 MBTs were built for the Bundeswehr in eight production batches. 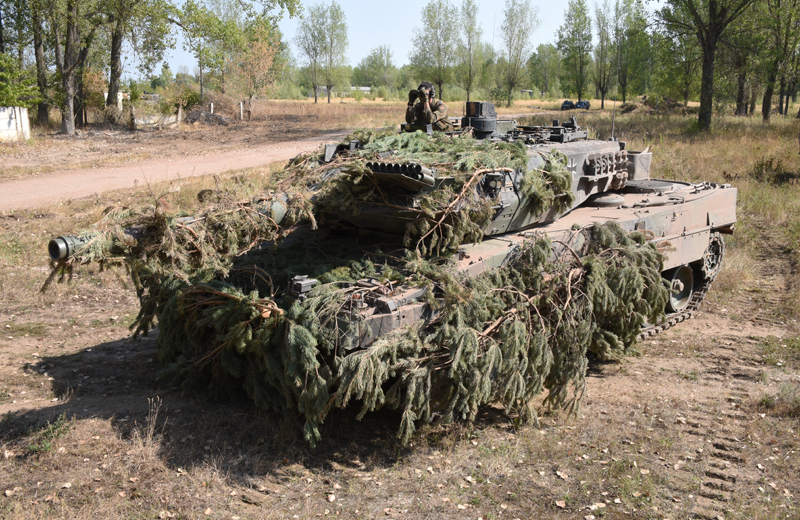 In 2008 the last Leopard 2A4s, still fielded at that time only by the training unit of the German Army Combat Training Center, were taken out of service. 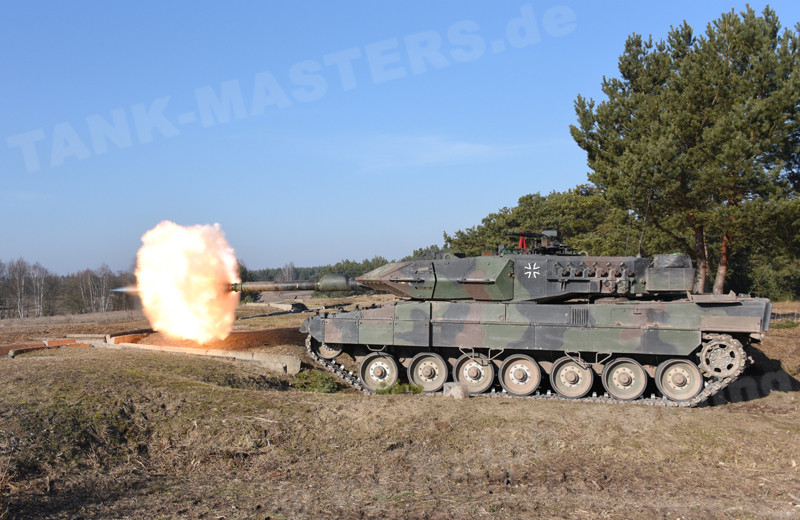 The first of 225 combat capability improved Leopard 2A5 main battle tanks (MBT) of the first production batch was handed over to the German Armored Forces School in Munster on 30 November 1995 and replaced the Leopard 2A4 in the following years. Leopard 2A4s of the 6th production batch (late) plus the 7th and 8th production batches were preferred for conversion to 2A5 standard as they already featured parts of the improved basic armor on the front of the chassis. Up till November 1998, a total of 212 Leopard 2A5s were fielded with the following armor battalions: 33 (Luttmersen), 214 (Augustdorf), 393 (Bad Salzungen) and 104 (Pfreimd). The remaining 13 vehicles were used for training purposes. Even when the Bundeswehr ordered a second batch of 125 Leopard 2A5s, overall only 285 vehicles were modified to the 2A5 configuration as the final 65 vehicles were directly converted from Leopard 2A4 to Leopard 2A6 standard by mounting the L/55 main gun. The first operational deployment of Bundeswehr MBTs took place in 1999 when Leopard 2A5s were used as part of KFOR operations in the Kosovo. When compared to the 2A4 MBT the Leopard 2A5 variant is defined as follows: Exchangeable armor modules at the front and sides of the turret, attachment of improved light side skirts, modified turret rear as part of a new storage concept, installation of a driver`s sliding hatch and a driver`s rear-view camera with a monitor in the driver`s compartment, relocation of the viewfinder of the EMES 15A2 gunners main sight, integration of an OPHELIOS thermal-imaging system in the commanders PERI R17A2 panoramic sight. 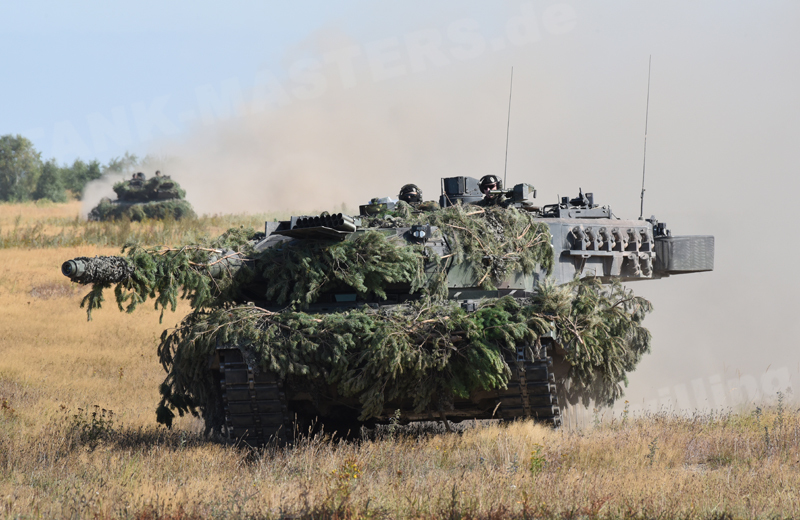 Today the Bundeswehr still fields 17 Leopard 2A5s which are used by the 3rd Training Company of the German Army Combat Training Center in the Altmark. Furthermore also the Federal Office of Bundeswehr Equipment, Information Technology and In- Service Support has two vehicles for test purposes in its inventory. The main armament consists of the L/44 120mm Rh 120 smoothbore gun, 7.62mm x 51 MG3A1 coaxial machine gun, 7.62mm x 51 MG3 air defense machine gun and 76mm smoke grenade discharger system with eight launchers.